Create a unique look with volume and texture with the help of our beautiful draperies, valances, and more. A wide variety of draperies and valances are available to suit your needs! Pfohl’s is a family-owned and operated small business located in Downtown Dubuque. John "Kermit" Kirpes is the next generation of family who have been serving Dubuque since 1946. As John's wife, Liz has joined Pfohl's to bring a new level of customer service and marketing to the business. 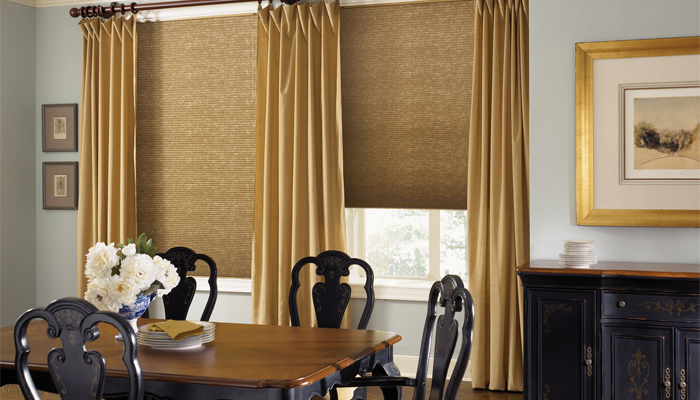 Pfohl's Blinds, Draperies & Shades, Inc.